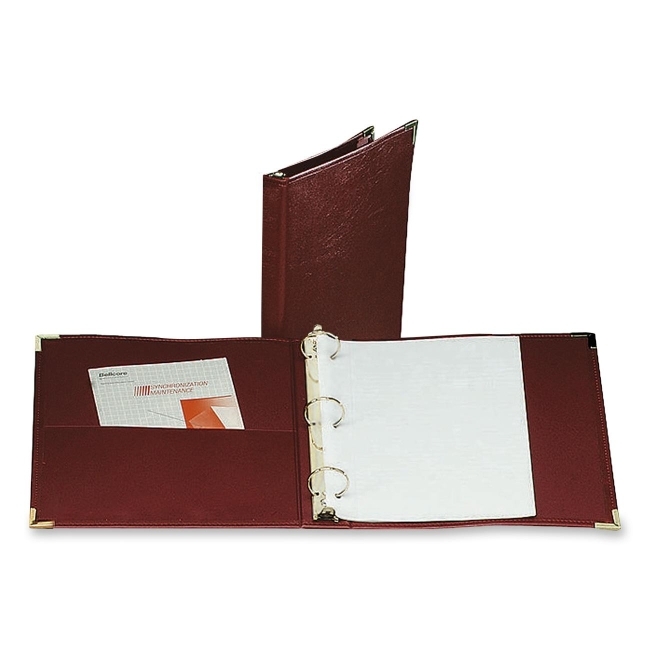 Presentation ring binder features brass-plated ring metal and corners, and an inside front pocket. The flexible cover is made of soft, supple, expanded supported vinyl with sewn turned-edge construction and concealed rivets. 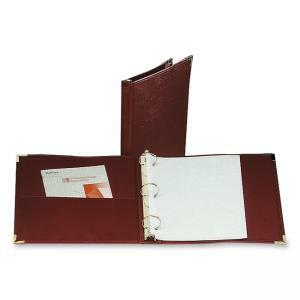 Binder has a full index allowance in cover width.